Google recently announced a new extension for paid ads. Callout extensions (see example below) allow you to include yet another line of text in your ad, expanding page real estate and providing key information about your brand or service. They look like sitelinks, but are not clickable. Their purpose is more to encourage focus on the main message of the ad, providing additional promotional information or highlighting features of your product. 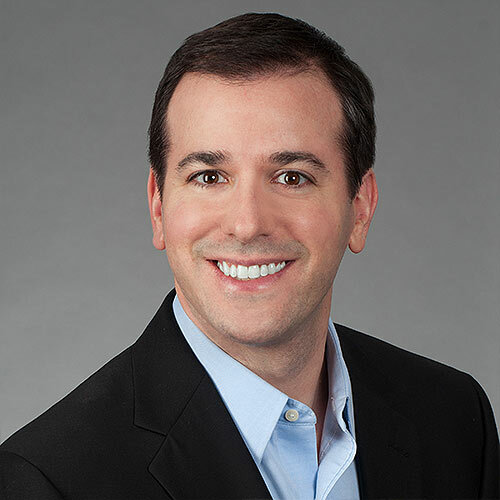 As with sitelinks, their presence is proven to lead to a higher clickthrough rate. 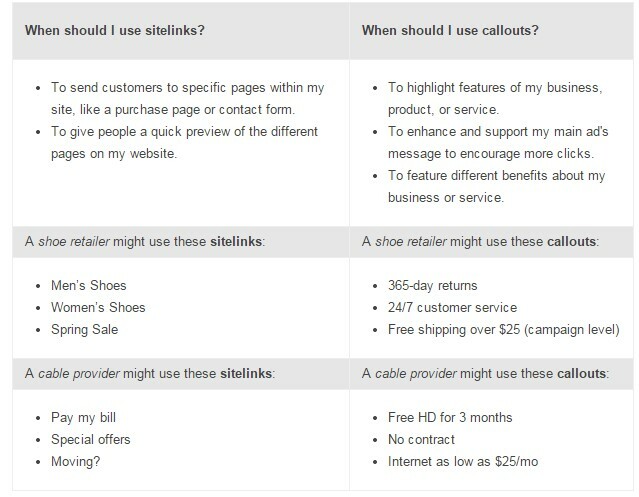 Below is a helpful grid comparing sitelinks vs. callouts. Callouts are shown at Google’s discretion but they do provide several tips to ensuring the chances they show are high. Capitalize words sparingly: We’ve learned that ads see better performance with callouts that use sentence case rather than title case, i.e. “100% silk” vs. “100% Silk”. As with other ad extensions, there is no additional cost to show callouts. You’ll be charged as usual for clicks on your ad. For more information on callouts, please visit the announcement on the Inside AdWords blog and the AdWords Support page.